Every once in a while, it’s fun to get dressed up and indulge in some incredible local fare. And if you’re in Huntsville or Madison, there are a few places you’ll want to visit in order to make the most of your splurge. Delicious food is one of life’s pleasures that the Rocket City has fully embraced and we have a few suggestions on where you can enjoy a classy meal. 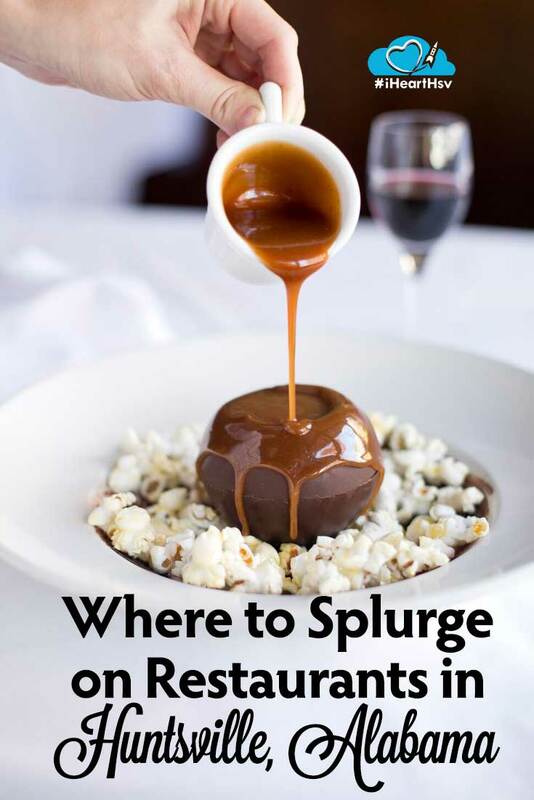 Grab your date or your friends and enjoy some of our favorite fine dining locales. 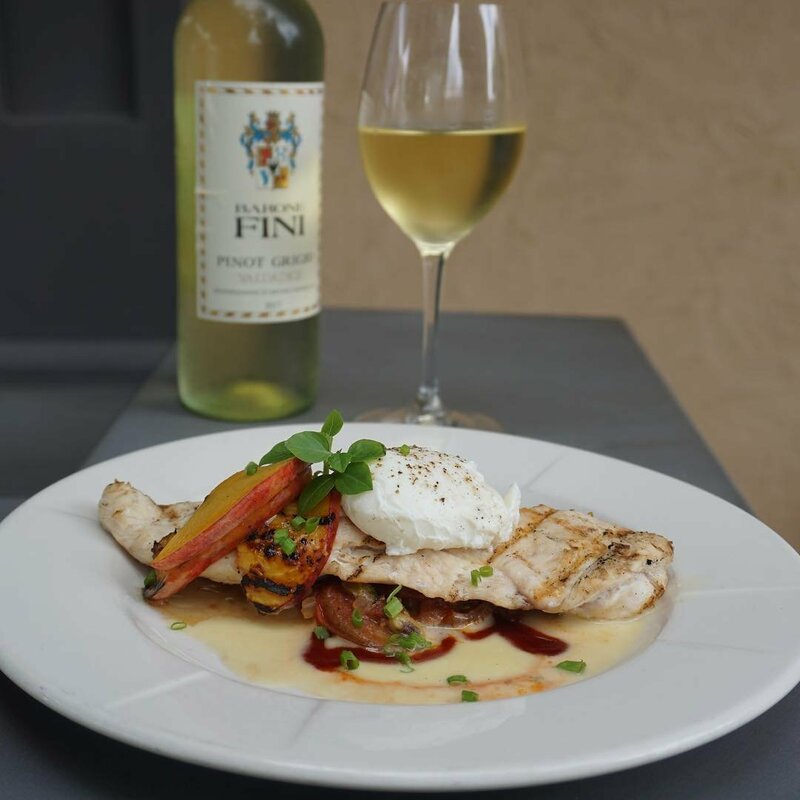 If you’re looking for fresh, seasonal dishes with an unmatched presentation, look no further than Purveyor in Downtown Huntsville. From the moment you enter, you’ll instantly notice the upscale—yet relaxing—atmosphere. Cozy booths line the brick walls with each table perfectly prepared for guests’ drink and appetizer selections. Everyone from the staff greets you with a friendly smile and servers take the time to help you discover the perfect wine or cocktail to pair with your entrée. The menu changes to include in-season offerings so you’re always sure to experience something new and exciting with each visit. 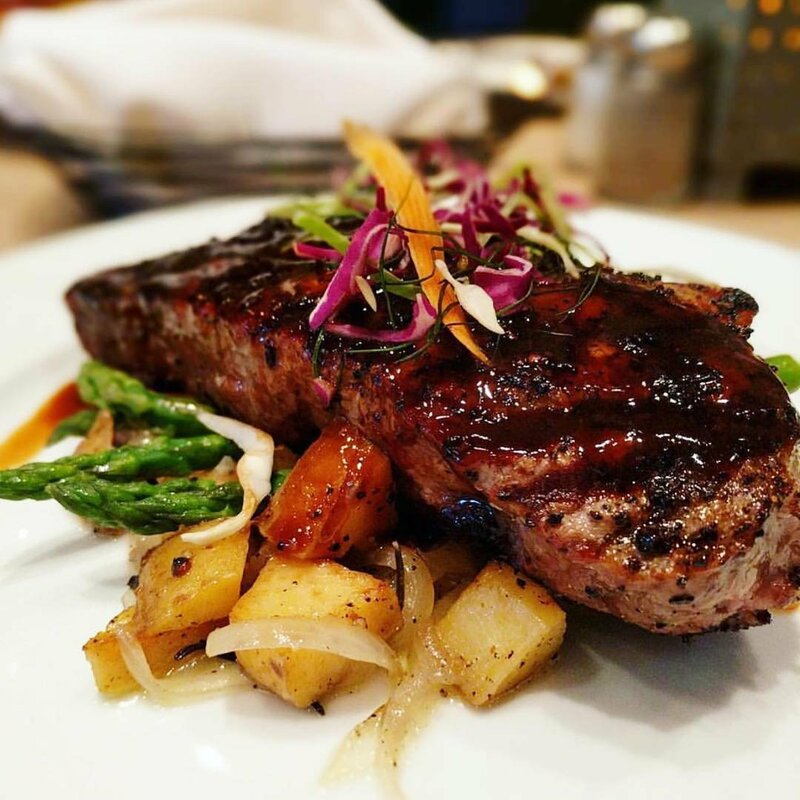 During Huntsville Restaurant Week, Purveyor has some amazing selections to choose from. One is a delicious Lobster Fried Avocado dish that features Maine lobster, a four-cheese filling, cilantro crema, and heirloom pico de gallo! Before you taste it, you’ll see creamy avocado spill into your fork along with savory lobster and melted cheeses. The flavors work together perfectly and create an experience you won’t find anywhere else in the city. 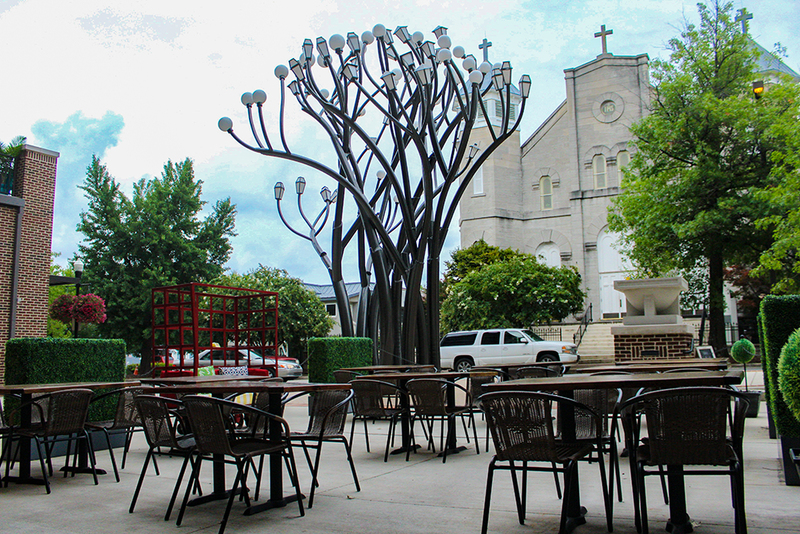 On warm nights, take your meal outside under the glow of the “Light Tree” sculpture that has become an icon of The Avenue. 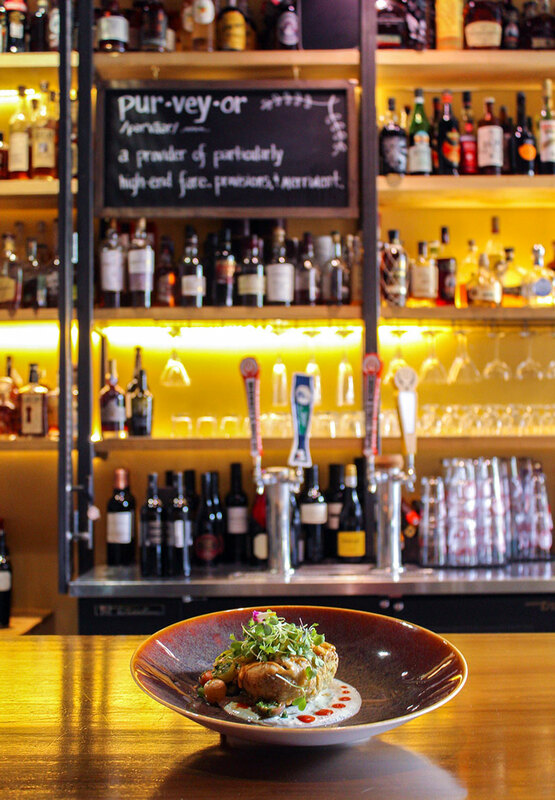 Purveyor is a destination where elegance, innovative flavors, and a detailed knowledge of wine and cuisine converge. 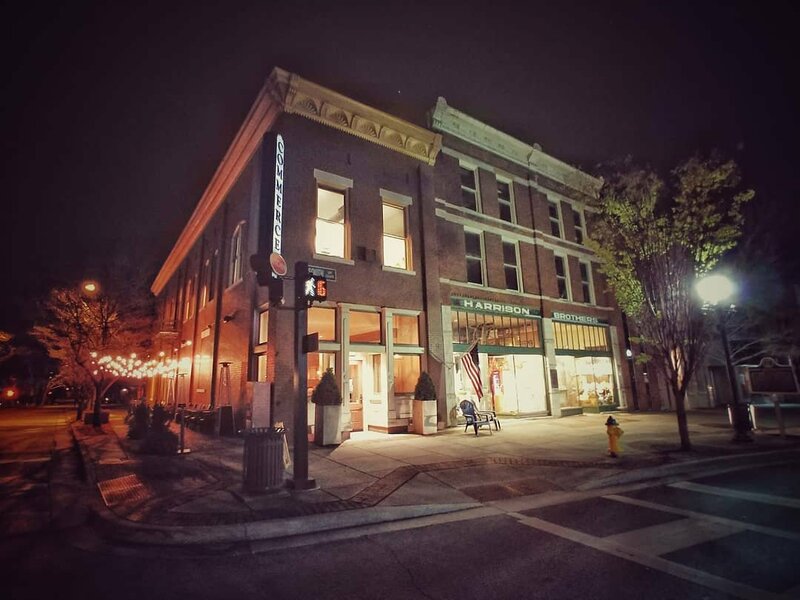 The Downtown Huntsville Square is home to several local restaurants, including our next pick—Cotton Row. Reservations are recommended due to the high volume of patrons that visit each and every day. Whether you are looking for a delectable brunch, flavorful lunch, or mouthwatering dinner, you’ll be pleased with your visit to Cotton Row. Available dishes are determined by what’s in season and local, making each ingredient the freshest available. You simply can’t go wrong with any selection. Although, the Honey Glazed Smoked Duck Breast with Benton’s ham and field greens, charred corn, hen egg, and mushroom bourbon froth is extremely hard to ignore! On the opposite corner of Southside Square, you’ll find another concept by Chef James Boyce, Commerce Kitchen. But for those with a more refined palate, you can sample an array of entrees for brunch, lunch, and dinner that are sure to please your taste buds. Who wouldn’t love Granola-crusted Stuffed French Toast, Gulf Shrimp and Grits, or Coffee-crusted New York Strip? Of course, there’s a signature cocktail list, beer selections, and a wine-by-the-glass menu available as well. This is one spot you don’t want to miss on your next trip to the city’s center. 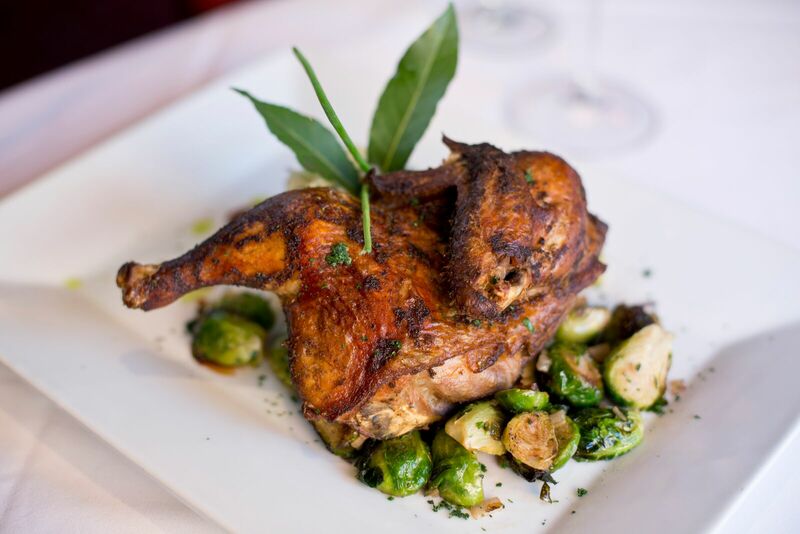 Is there a restaurant in Huntsville where you can savor Southern cuisine with a French influence? Oui, oui! The Bottle, located on Washington Street in Downtown, is the perfect place to find the “je ne sais quoi” you’re looking for. Again, the menu is seasonal and based on availability. So you’ll enjoy something new every time. Chefs Andy Howery and Chris McDonald head up the establishment and everything they create is simply out of this world. With appetizers like Pastrami Yellowfin Tuna and courses like New Zealand Lamb Racks, you’re sure to have an experience you won’t soon forget. As the name suggests, there’s also an expansive drink and wine menu to sip as you savor your meal. 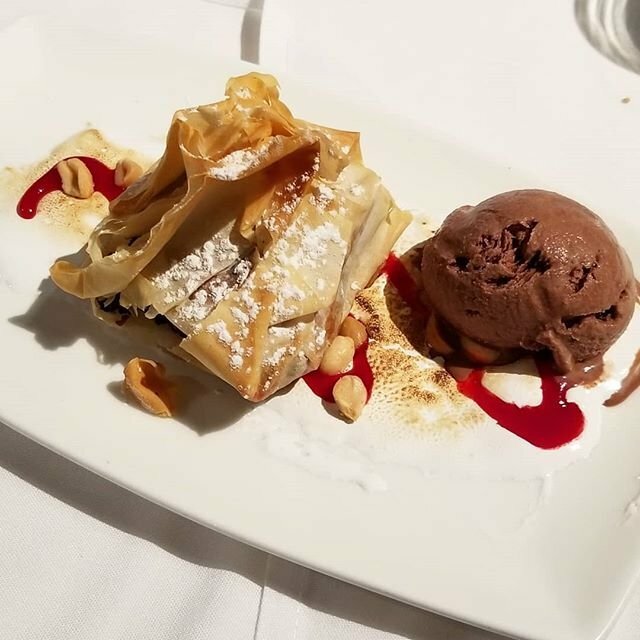 Trust us, you can’t leave without trying dessert. The Classic Crème Brulee is the perfect punctuation for your evening of dining in style. 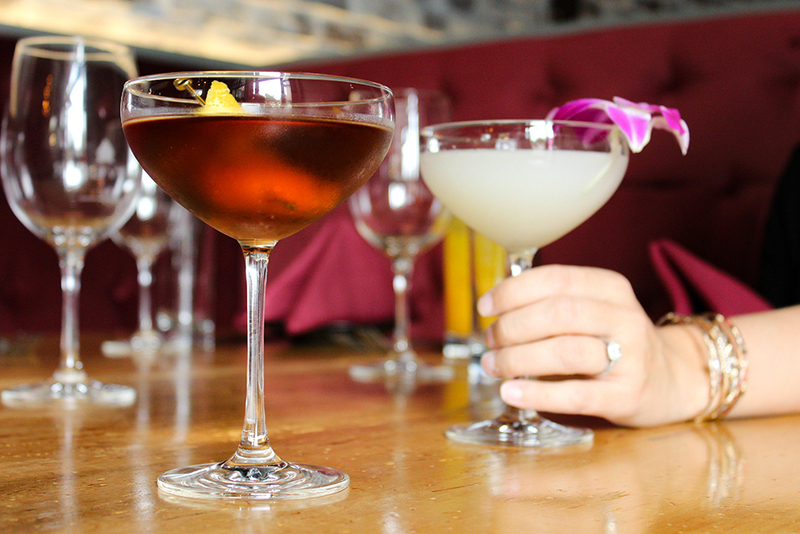 Tucked away in the beautiful Providence community near Madison, you’ll find Grille 29. The atmosphere is warm and inviting with plenty of comfortable booths and seating. There’s even an outdoor dining area and space for private events. If you join them for Saturday or Sunday brunch, you can enjoy 29-cent Mimosas from 10am-11am and $3 Mimosas from 11am-2pm! (Talk about a deal.) And while you’re there, grab some sweet and salty Chicken and Waffles or a Smoked Salmon Platter. Lunch and dinner bring on new menus with a long list of appetizers like Truffled Deviled Eggs and Lobster Quesadilla. Or maybe Cast-iron Shrimp and Grits are more your speed. 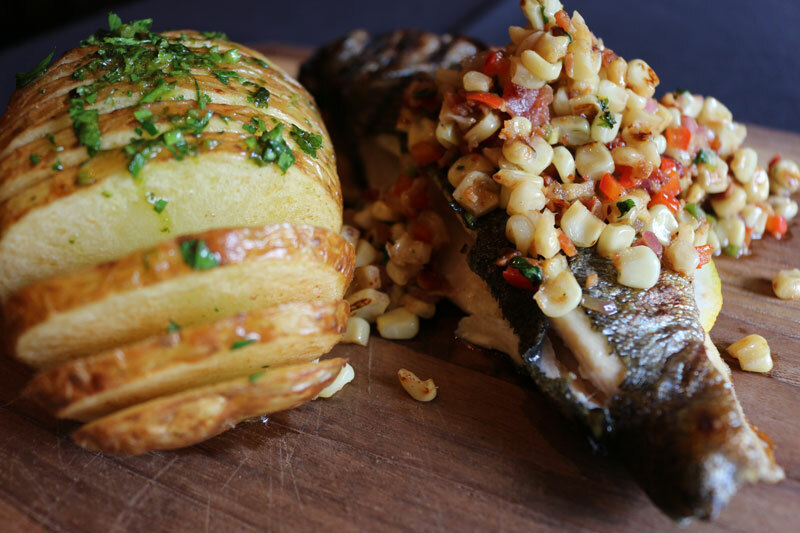 It’s important to note that Grille 29’s Grouper Oscar was named one of the “100 Foods to Eat Before You Die in Alabama.” So, don’t let the opportunity pass you by! To end your meal, choose from one of the Grille’s guest favorites like Lemon Lava Cake. You can even order dessert coffees! 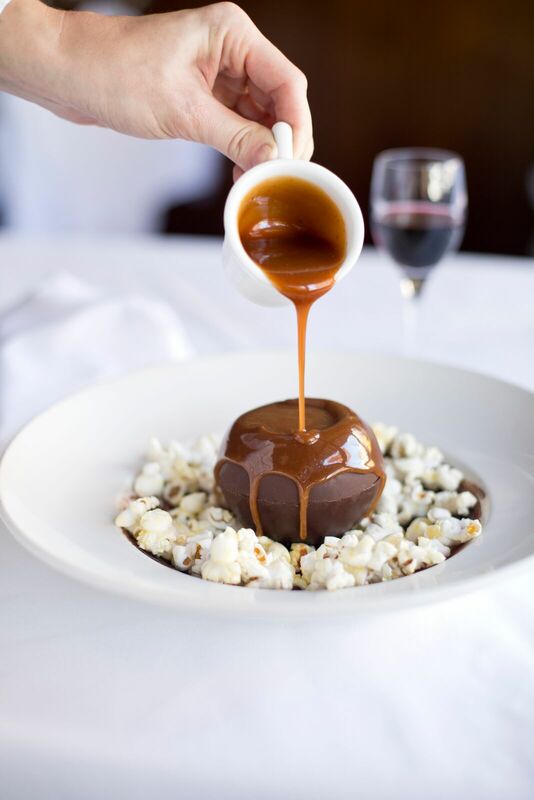 We recommend the Providence Truffle to get the full experience and pay homage to the area where restaurant resides. These are just a few of the fine dining restaurants in the Huntsville area. Where else would you recommend? Let us know so we can add them to our list! Haley Clemons is a graduate of the University of Alabama with a degree in public relations. 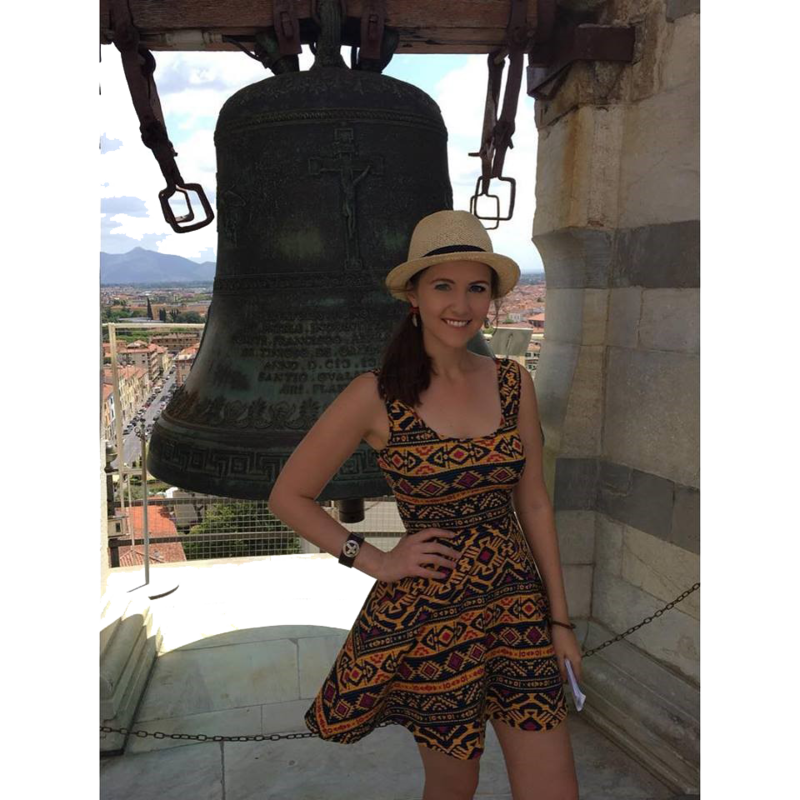 She spends most of her free time exploring local towns, trying new restaurants and planning her next international trip. Her favorite place on earth is Seaside, Florida on scenic highway 30A! 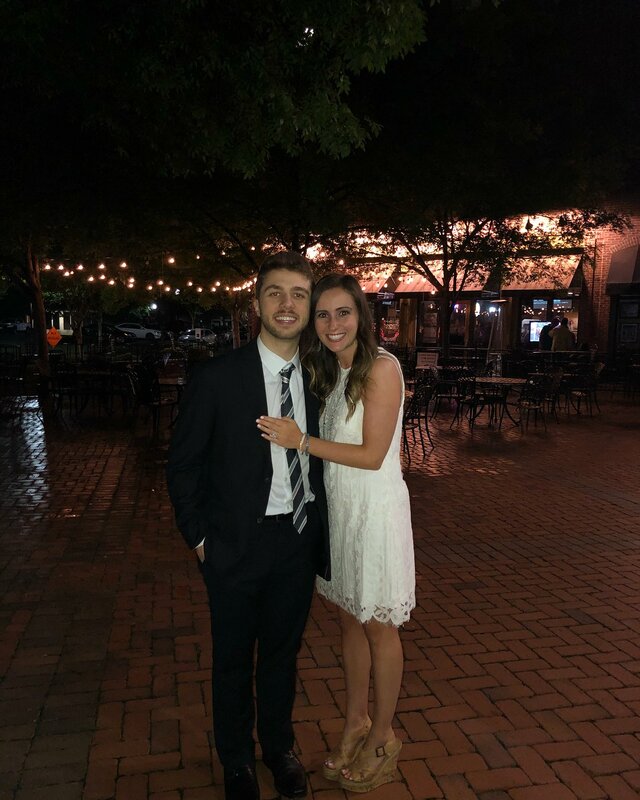 She loves church, her family, friends and her fluffy white cat named Truman (after The Truman Show). She’s also a big Jim Carrey fan. 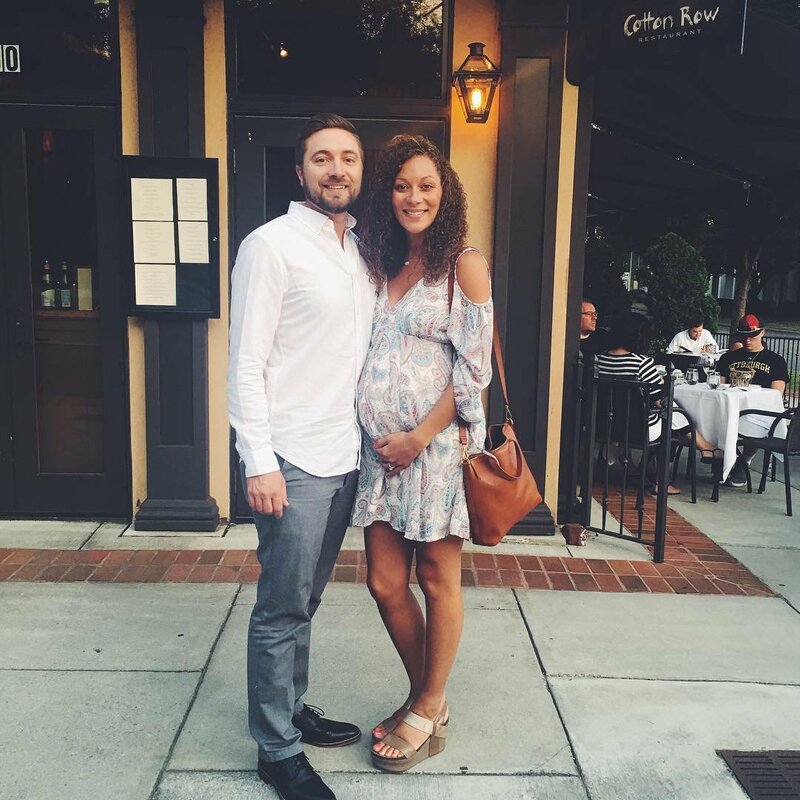 She currently works as the marketing coordinator for a local commercial real estate company. She started her travel blog earlier this year and records her latest adventures for everyone to enjoy. Read more from Haley at www.life-in-between.com.